Time for another Abbey Home Media giveaway! I have 3 copies of Cloudbabies: Wide Awake Sun on DVD to giveaway. 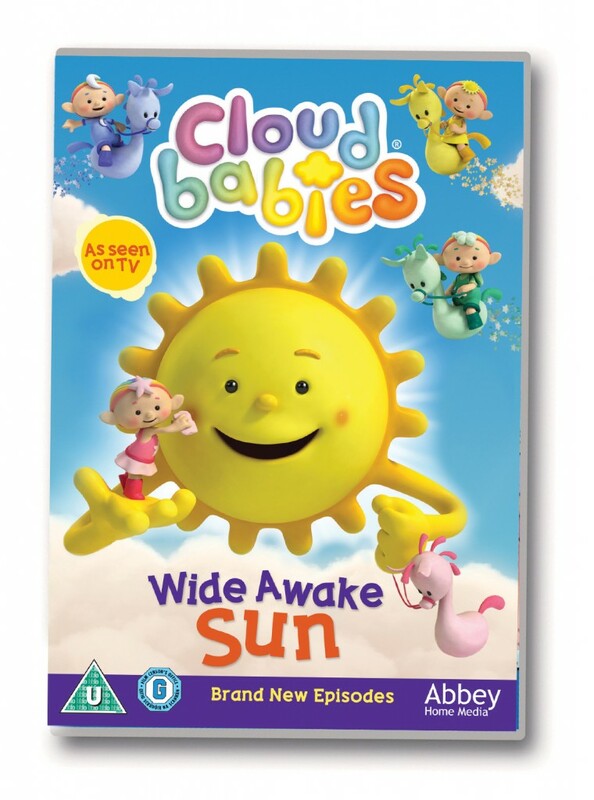 Cloudbabies: Wide Awake Sun * is released on 1st July 2013, and has 6 episodes for you to enjoy. The Cloudbabies Baba Pink, Baba Blue, Baba Yellow and Baba Green live in the sky, up in the clouds. They live in the Cloudyhouse with Bobo White the Sky Imp, and every morning they jump on their skyhorses and begin their day’s work of looking after the sky! On this new DVD, you can enjoy the episodes Wide Awake Sun, Mystery Noise, Rainbow in a Knot, Full Moon, Achoo! and Being Baba Pink. To enter this giveaway, leave me a comment telling me who your favourite Cloudbaby is, and then fill out the rafflecopter widget below. Victoria Vincent liked this on Facebook. Antonia Jocelin Richardson liked this on Facebook.